Over the weekend Israeli planes dropped flyers over Beit Hanoun and Beit Lahia warning that anyone who approached within three hundred meters of the border would be shot. It is not as though the people don’t know of this policy. As the following conversation between Israeli soldiers makes clear, this has been policy for many years. The soldiers in this conversation are discussing the murder of a thirteen year old girl, Iman Darweesh Al Hams. 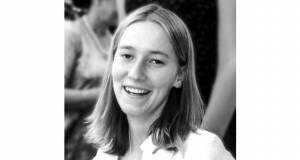 She was murdered in October 2004 on her way to school. The chilling transcript relating her murder is still fresh in the minds of Gazans. In a three-way conversation between watchtower soldier, the operations room in another location, and finally, Captain R, the officer on the ground near watchtower, they discussed and confirmed the cold killing. From the operations room: Are we talking about a girl under the age of 10? Watchtower: A girl about 10, she’s behind the embankment, scared to death. Watchtower: I think that one of the positions took her out. Captain R: I and another soldier … are going in a little nearer, forward, to confirm the kill … Receive a situation report. We fired and killed her … I also confirmed the kill. Over. This is commander. Anything that’s mobile, that moves in the zone, even if it’s a three-year-old, needs to be killed. Over. The Israeli army officer who fired the entire magazine of his automatic rifle into a 13-year-old Palestinian girl, and then said he would have done the same even if she had been three years old, was acquitted on all charges by a military court. The soldier, who has only been identified as “Captain R”, was charged with relatively minor offences for the killing of Iman al-Hams who was shot 17 times as she ventured near an Israeli army post near Rafah refugee camp. As you can see, the new leaflets aren’t really necessary. Everyone in Gaza knows of Israel’s policy of murdering anyone who goes near the border. The leaflets were also ineffective. 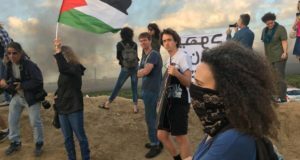 The weekly demonstration against the no go zone in Beit Hanoun went on just as it has every other Tuesday for the last three years. Just last Friday the Israeli military shot thirty two people at the Erez border crossing, one of them, 20 year old Mahmoud Zakout, was killed. We gathered as we usually do outside the half destroyed Beit Hanoun Agricultural College. You could hear the thump of an Apache’s blades, somewhere, unseen, there was a helicopter nearby. A farmer came by on a donkey cart; we went over to speak to him. He told us that because of the lack of fuel in Gaza his crops were threatened. He had no diesel to run irrigation pumps, and without water his crops will die. What was he to do? No one had an answer for him. After he left the music began over the megaphone, flags went up and a giant banner was unfurled. We began to march down the road to the no go zone. We entered the no go zone with its shoulder high crop of thistles and quickly moved to single file to walk down the paths that we have worn through the thistles in previous demonstrations. We made our way to the ditch that bisects the no go zone, probably seventy meters from the giant concrete wall that marks the perimeter of the prison that is Gaza. Right in front of us was an Israeli tower from which they shoot whom they will. We lined along the ditch and began to chant against the occupation. Then an Irish activist spoke, and he compared the Israeli occupation of Palestine to that of Rome and the Ottomans. “Just as those occupations came to an end so too will this one, Palestine will be free,” he said. As we made our way back to Beit Hanoun we noticed smoke in the distance, behind a hill off to our east. An Israeli tank was releasing smoke, probably to cover the movement of the soldiers it was disgorging into Gaza. We stopped at some concrete blocks that we had painted with Palestinian flags in an earlier demonstration. We soon noticed another tank making its way west along the wall. Two tanks and a helicopter, all this to try and scare thirty unarmed demonstrators off Palestinian land. It didn’t work. Maybe in the future Israel will stop dropping leaflets and stop sending tanks to try and scare people. Israel could just play footage of the murder of Iman Darweesh Al Hams on giant televisions they could install in the wall. 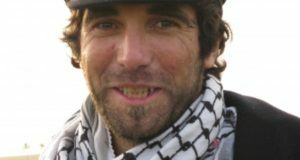 Nathan Stuckey is a volunteer with International Solidarity Movement.